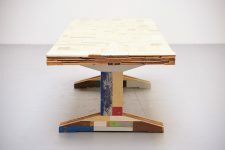 Unique and early waste scrapwood table designed and manufactured by Piet Hein Eek Eindhoven, Holland 2001. 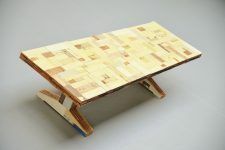 This table is one of the very first scrapwood waste tables ever made, differently made than the current production, much more crafted. 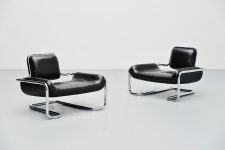 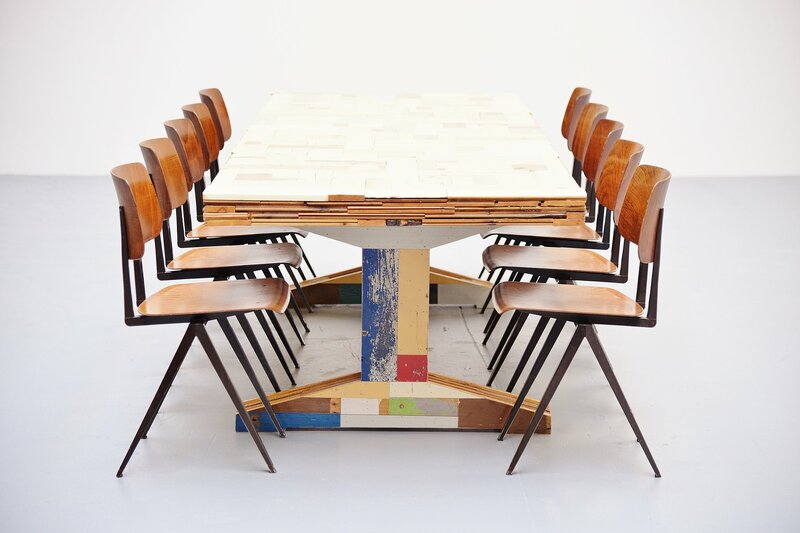 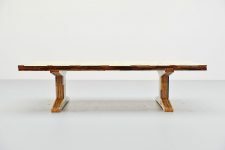 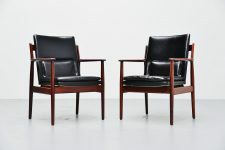 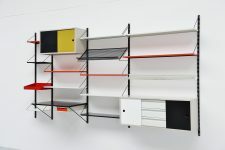 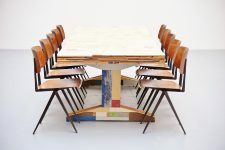 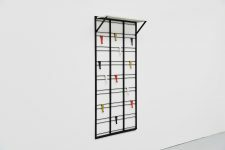 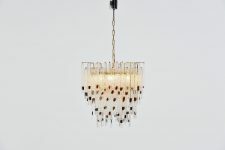 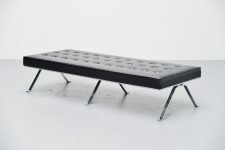 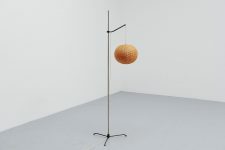 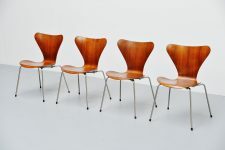 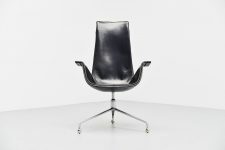 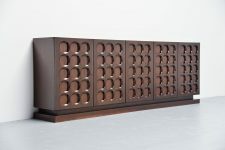 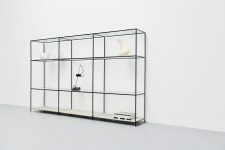 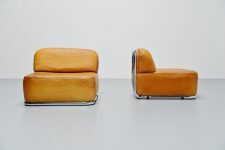 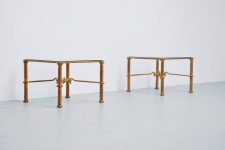 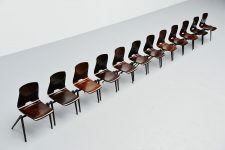 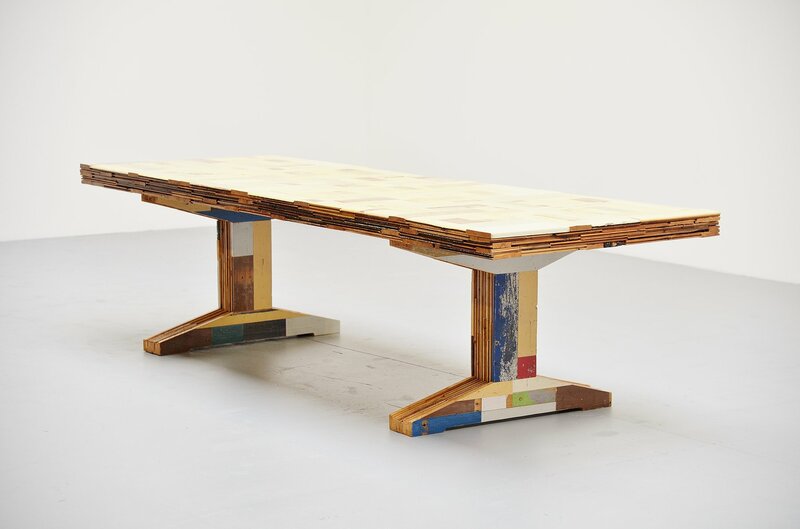 Comes from a very close contact from Piet Hein Eek so this has a great provenance. 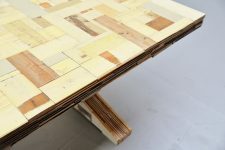 This waste table is meticulously crafted in Piet Hein Eek's studio in Eindhoven using traditional wood-working techniques. 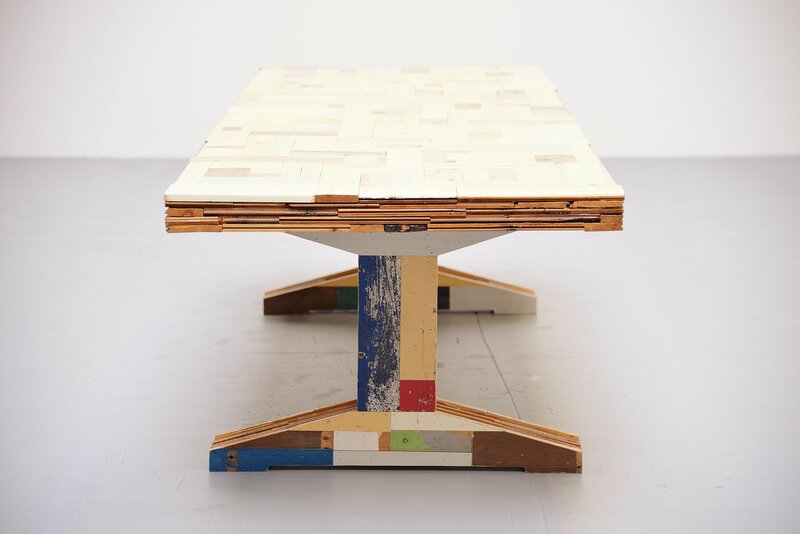 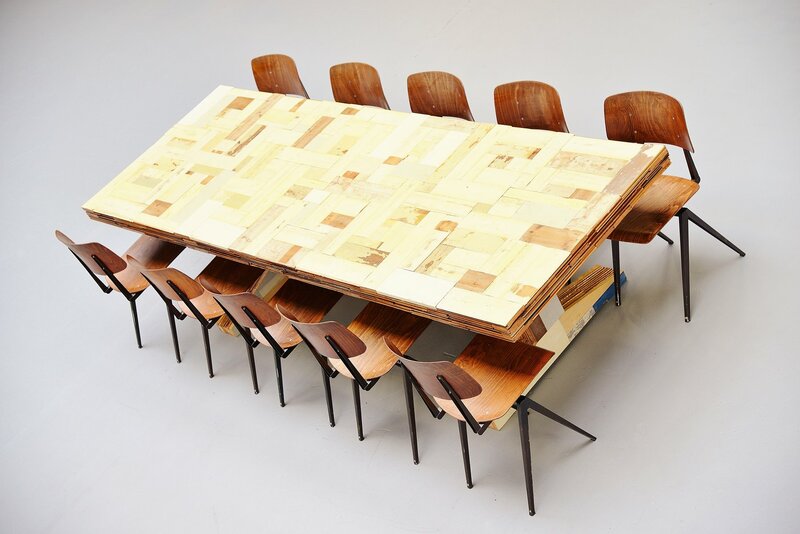 These techniques and the usage of used wood brings his quintessential vocabulary of recycled wood collage to a table design of exceptional grace. 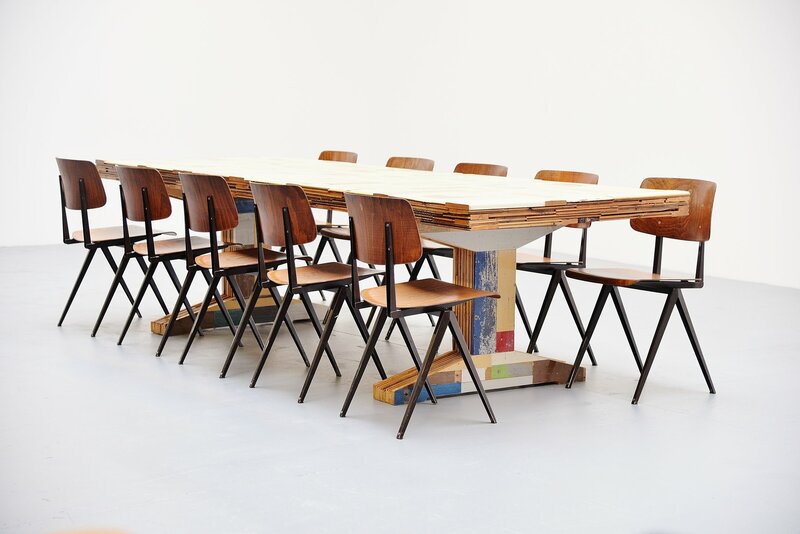 Each table is completed with a characteristic high gloss finish. This table is one of the more neutral tables you will find. 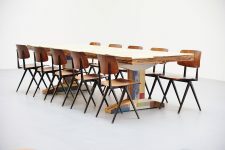 The table is in excellent condition and is a very nice table to use and work with. Fits 10 chairs easily. 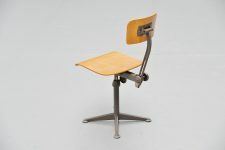 The legs can be dismantled for safe transport.